Can you help with adult literacy? We are looking for someone who would be able to help provide support for an adult looking to improve their reading and writing skills. This would be on a voluntary basis and delivered in the Worcester Park area. To find out more contact Diana on 07970 525 143. The wool, which was donated to us, has been given a home. 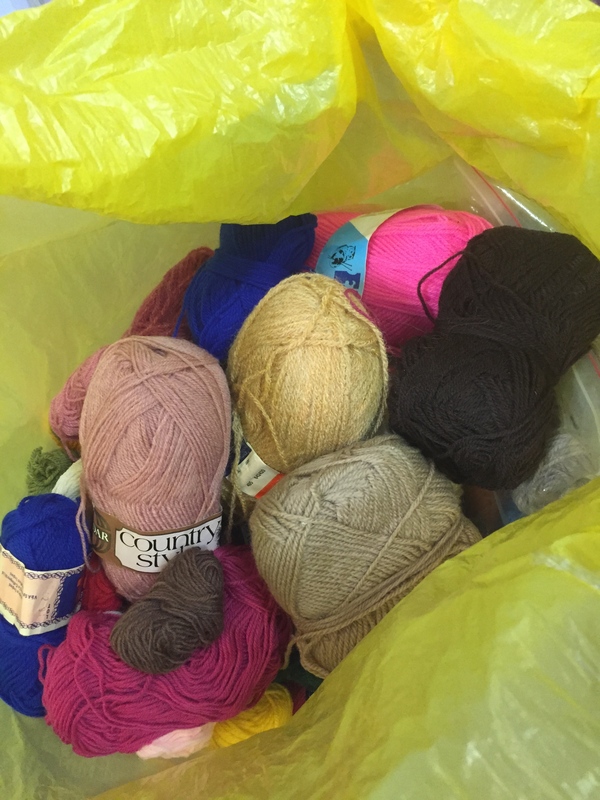 Age UK Sutton has a group Purls of Wisdom which meet up and knit – they got in touch with us over Twitter and we dropped off the wool this afternoon. We just loved their tweet in response to the delivery – very creative and funny – thanks! If you have any spare wool, either get in touch with us or go directly to Age UK Sutton, offices just outside the Council’s Civic Office main entrance. Sutton Community Farm is looking for volunteers, mostly outdoor jobs but there are things to do inside too. If you want to find out more, visit their website. There are lots of ways you can get involved with Marie Curie, which provides care and support through terminal illness. Click on the link and find out what you can do. The U, Sutton is launching a new project in the Borough. Talking Tables will be place where people can drop in for a chat and a coffee (or tea!). Talking Tables will be hosted by volunteers. If you would like to be a host, or want more information, please get in touch with Diana Coman on 07970 525 143. Sessions start mid-June at the Riverside Centre, Carshalton. Enter your email address to follow My Sutton and receive notifications of new posts by email.